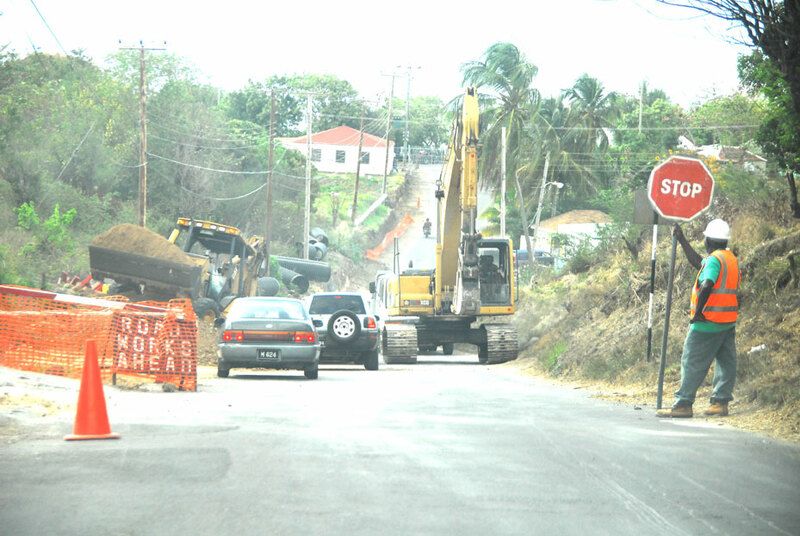 The long-suffering project usually referred to as the A1 road project from Salem to St. John’s is continuing slowly but surely, but satisfies the suspicions of public observers, that the project is heading to run out of money. 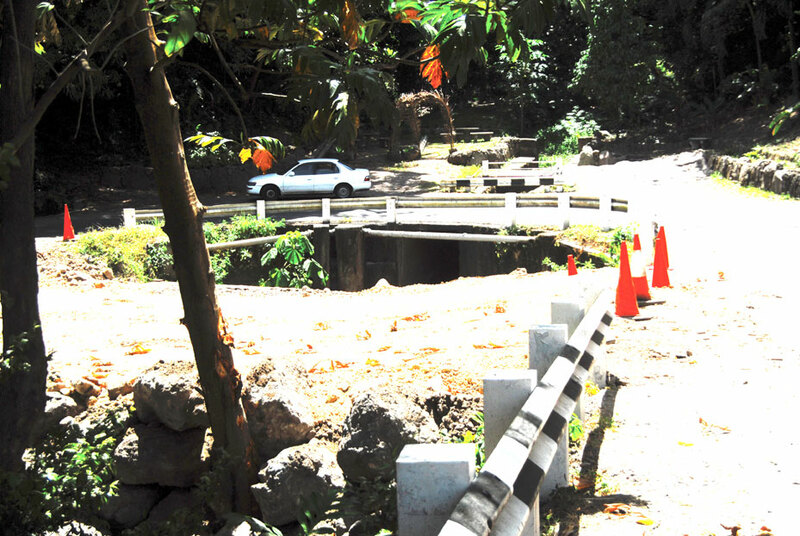 The Ministry of Finance sought and received approval in the Legislative Assembly in February 2012 to fund and spend $2,800,000.00 towards “Ghaut Replacement Project” In a Supplementary Appropriation (No. 4/2011) Act, 2012) with regard to the extent of construction in time and material to reconstruct Cassava Ghaut and the Nantes River bridge. The road works consist of three main stages. They include reconstruction and resurfacing from Salem to St. John’s, installation of utilities, ducts, and also as part of the budget, placing three rivers crossing that were severely damaged in August 2010 by hurricane Earl. More accurately, “The increase in scope of works is in two parts leading to two sets of results: Underground Cable Ducting where the newly rehabilitated road will include provision for cables to be relocated underground along the A01 route, and crossing the road where required. And the Pedestrian Walkway(s) extension, proposed between Brades Junctions and Governemtn Head Quarters to provide safer transit for pedestrians moving between the two centres. Director of Public Works, Ron Beardsley explains that the whole aim as far as the river crossing at Nantes River, is to increase the hydraulic capacity. He also said that the work that is being currently done on the Runaway Ghaut area is advancing and is looking to be completed soon. As in relation to the work done on Cassava Ghaut crossing Beardsley pointed out, “work on the ghaut crossing is virtually completed”. That is in Salem and will be followed by asphalting, the director had added. 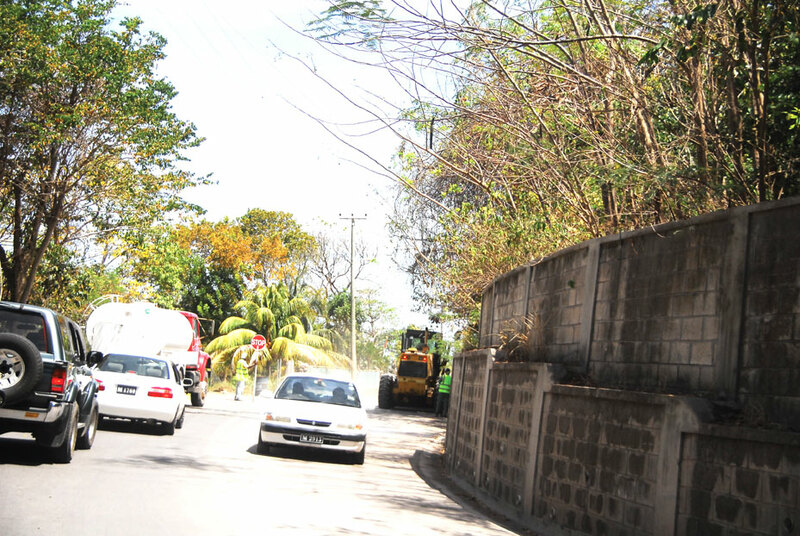 Meanwhile the widening and placement of sidewalks continue in full speed on the Brades main road from Cudjoe Head. But at the end many residents and drivers will be disappointed. 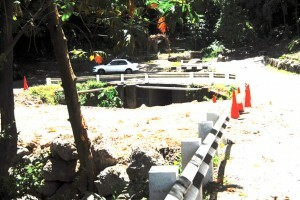 In February just before government sought the approval of funding for the additional bridge reconstruction works, when complaints and questions were raised as to the time being spent on the bridge works, DFID’s Dr. Kimbugwe had disputed claims that the overall road works project from Salem to St. John’s never included improvements to feeder roads. These feeder roads were to include roads into Nixons and Banks, as well as into Manjack through to Cavalla Hill and others. Further investigation did show that HMG never approved that portion of the overall road project improvements. However, further research confirms that HMG did approve an increase in the A1 project that, “…will bring the overall project budget to £ 5.83 million (approx. 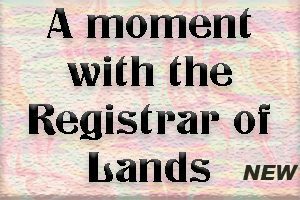 EC$24,77 million).” With funding transferred through the Montserrat Financial Aid Grant. It should be noted that the project is over five years old, and whereas the original request for the road works and repairs may not have been urgent then, they are moreso now especially considering such other roads as that from Caballa Hill to St. John’s through Barzeys, a well populated area to St. John’s. The road there in a very short while will have to under major repairs or probably close mid-way.